- Ink Bottle - Cyan-2ltr. - High Quality Ink - Print documents with quality text with the Pritop Canon Refill Ink. - Strong infiltration capacity, no pore lines, no diffuse, no fade when it is wet on the printed. 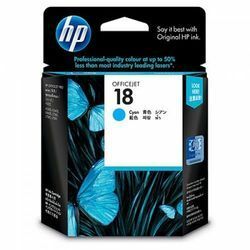 This Epson Cyan Ink is ideal for inkjet printers and is convenient to set up and use.